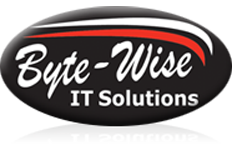 Contact Byte-Wise for prompt and affordable IT support and installations. We offer managed IT services, data cabling, telecommunications, video surveillance, remote support and much more. Our team can supply, install, repair and service a range of hardware, from printers and copiers, to desk phones and cabling. Based in Bowen, we service the whole Whitsundays area, including Airlie Beach, Cannonvale, Proserpine and Burdekin, but will tend to clients in most areas from Mackay to Townsville. Support outside of normal hours is available by prior arrangement only.